What follows is a Focus report on Betz Family Winery. Read a .pdf version of this report here. See previous Focus reports here. 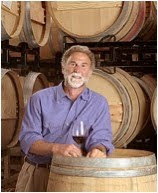 Betz Family Winery was founded by Bob and Cathy Betz in 1997. The winery is a family-run business with Cathy serving as the winery’s president, Bob as its winemaker, and their daughter Carmen as the head of sales. While Ste. Michelle Wine Estates encompasses some of Washington’s largest wineries, including Chateau Ste. 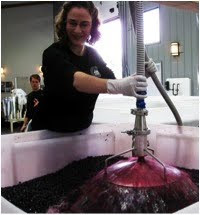 Michelle and Columbia Crest, Betz Family Winery is small operation with an annual production of about 3,500 cases. Although being small might seem to be preferable, Betz believes there are very few benefits of being a small winery, saying, “You pay more for your barrels, your grapes, and your glass.” Despite this, he says there is one advantage to being a small winery and that is “the ability to focus and to be precise in your decision making.” It is in this focus and precision where Betz Family Winery excels. Fruit for the Betz wines comes from some of Washington’s best vineyards including Boushey, Ciel du Cheval, Kiona, and Red Willow. Betz has long-standing relationships with most of the growers he sources from, using the same blocks for his wines each year. He visits the vineyards frequently during the growing season to talk to the growers and to check on the fruit. At harvest, grapes are hand picked and brought from eastern Washington to the winery in Woodinville, Washington. Once at the winery, Betz believes gentle handling of the fruit results in better wine. Grapes are hand sorted and moved through a gravity driven system. To convert the juice to alcohol, Betz seeks a “vigorous, vibrant fermentation.” He says, “I would rather build character out of the quality of the site we choose for grapes, out of the grapes themselves, and how we handle and mature them” than deal with the potential contamination issues and reductive aromas that can be a consequence of a slower fermentation. Several pieces of equipment used during the fermentation process were custom designed for the winery. For punch downs – the process of mixing the mass of grape skins or ‘cap’ that floats to the top of the fermentation container – Betz uses both a manual process as well as a mechanical system with a hydraulic-driven platen. Betz says the hydraulic system does a better job than he can manually as “the old guy of the group.” Betz also uses a device called the “magic wand” for pump overs, the process of moving the juice from the bottom of the fermentation tank back to the top. The device has a sieve to prevent skins and seeds from going through a pump where they might be damaged and cause bitterness in the wine. Betz believes aerating and mixing the juice via this device gives increased color saturation compared to punch downs alone. Betz is constantly experimenting, looking at variables such as cooperage, yeast strain, vineyard sources, and other components that comprise the winemaking process. Last fall he fermented a small amount of fruit in oak barrels, looking to see if there was a difference in integration and aeration compared to plastic fermenters. Such experiments are always going on at the winery. A true scientist, every experiment always has an accompanying control. 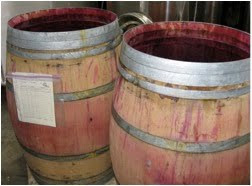 Among the many results of these experiments, Betz says he racks his wine – the process of removing the wine from the barrel and cleaning out the lees – less frequently now than he did in the past. He believes this results in a more vibrant wine. The question for wine consumers, of course, is whether all of this attention to detail results in better wine. Betz says, “You hope that it contributes to quality, but it certainly contributes to character.” Most who have sampled Betz’ wines would unequivocally say that it contributes to both. The Betz wines show both depth and complexity. They delicately straddle the Old World and the New and are among the best wines being produced in Washington State. The results of Bob Betz’ attention to detail are never more apparent than in the 2007 vintage. The 2007 Rhone-style reds, reviewed previously, are among the best the winery has ever produced. The 2007 Merlot-dominant Clos de Betz is an exemplary showing of what Merlot-based wines can achieve in Washington State. The 2007 Pere de Famille is, quite simply, a wine apart. While Betz continues to hold some wine back for retailers, the winery moved to selling predominantly through a mailing list in 2008. The list has since closed. Rating: ** (Exceptional) Dark and brilliant in color. An alluring nose with high-toned toasty oak, sweet spices, and dark, penetrating fruit. On the palate, a tight core of black fruit along with silky oak wrapped around elegantly structured tannins. A perfect mixture of power and elegance. A long, evolving finish. 85% Cabernet Sauvignon, 8% Merlot, 7% Petit Verdot. Fruit is 74% Red Mountain, 17% Horse Heaven Hills, and 9% Yakima Valley (Ciel du Cheval, Kiona, Klipsun, Alder Ridge, and Red Willow vineyards). Aged 17 months in French barriques (70% new). 14.7% alcohol. Give 3-4 years. Rating: ** (Exceptional) Brilliantly colored. Aromatic with toast, smoke, and oak spices along with an underlayer of black fruit. Shows a little bit of heat at times on the nose. On the taste, pure, rich black cherry fruit along with silky tannins. 62% Merlot, 20% Cabernet Sauvignon, 10% Malbec, 5% Cabernet Franc, 3% Petit Verdot. Fruit is 39% Red Mountain, 33% Horse Heaven Hills, and 28% Yakima Valley (Ciel du Cheval, Kiona vineyards, Alder Ridge, and Red Willow vineyards). Aged 17 months in French barriques (65% new). 14.7% alcohol. Give 2-3 years. I was so excited to see you do this post. This is one winery (and wine) that because of all the Twitter excitement and posts from people like you, that my expectations are so high. I know you don't hand out double star scores easily, so to see these really excites me. Thanks, Sean for providing the story behind the wine! Josh, definitely check out the Betz wines at Taste Washington this weekend. Absolutely agree that Bob is at the top of his game in 2007. Though he is a stalwart supporter of Taste Washington, a small winery can only front so much 'free' wine and Betz often runs out early. So get there early if you want a taste. Paul, very good point. Folks planning to attend Taste Washington this weekend and hoping to try the Betz wines should definitely go to their table early. Always best at this event to have a prioritized list of wineries you want to visit and make sure you hit the ones that are most important to you first. I learned two lessons from this: 1) hit your top wineries first 2) wineries pour a lot of wine at this event. Don't be too disappointed if you find a winery you want to visit poured out and gone. There will be plenty more great wineries there. Sean - I love the detail of the Focus Reports! Some very interesting insights from Bob Betz, one of our state's grandmasters without a doubt. Excellent post! Paul Z, many thanks. I'll keep em coming! I too love the magic wand and other details as a gadgeteer. What it tells me is that Mr. Betz has instinct and knows intuitively what will work to improve his wine. Of course, the years of expereince help this, but to me this is like a painter who hones his talent with different palettes and brushes and tools. I could use those same tools, but the underlying talent is what shines through on the canvas.